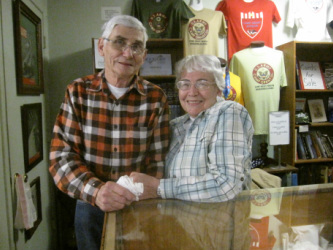 Stanley and Yolanda Weisensel invite you to visit Camp Grant Museum in Rockford, Illinois where you will learn about the history of the men and women who lived, worked and defended our country during the Camp's existence during World War I and II. The Command Post Restaurant houses the Camp Grant Museum where you will find displays, post cards, pictures and memorabilia of the Camp's everyday activities. The purpose of Camp Grant Museum is to preserve some of Rockford's local military history for future generations to remember.